Bake 'N' Butty on Bannatyne Street has won Lanark's 2018 Best Christmas Window competition. As part of the annual Lanark Winterfest, local businesses are invited to decorate their window along a festive theme, with this year's theme being the classic 'Christmas' - leaving lots of room for creative interpretation. Judging takes place on the evening of Late Night Lanark and the Illuminated Lanimer Parade, which is fast becoming a staple in Lanark's annual event calendar. One of the judges, Councillor Catherine McClymont commented "we were impressed with all of the entries this year. We felt that Bake 'N' Butty had gone above and beyond with the effort they had put in, decorating the inside of the café as well as the window. 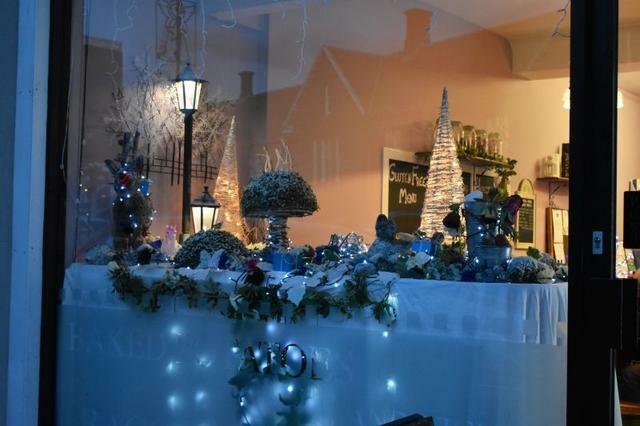 The window itself was beautiful, very classic with lots of pretty touches like the snow-covered lamp posts, reindeer and twinkly blue lights." Owner Jonathan Wright, who is also a Firefighter, has operated Bake 'N' Butty since August 2016. On winning this year's competition Jonathan said "he is delighted" and he "hopes the award helps raise awareness of their café and brings more customers up to the top of the town". Bake 'N' Butty serves a range of hot dishes, lunches, cakes, snacks, homemade pies, homemade cakes and hot drinks. Jonathan added "I have always had a passion for cooking and making meals for my friends." 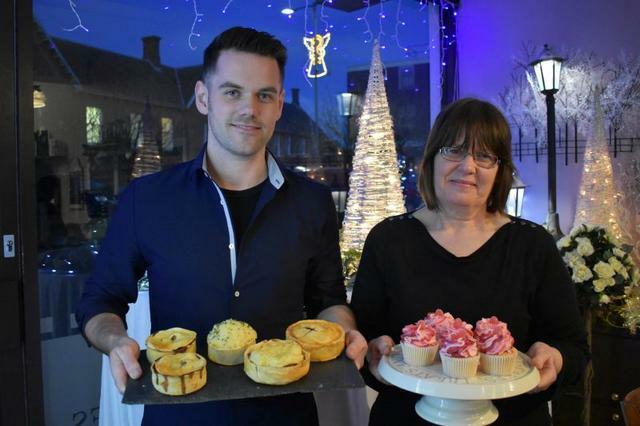 "I'm really proud of our homemade pies - I'd say they are the biggest in Lanark! We like to create different flavours like our Christmas pie and Haggis,neeps & tatties pie! The classics are always popular too, like Mac cheese & bacon, veggie, chicken curry and steak pie." "We also do event and party catering, and have a 'sweetie tree' that is really popular with weddings!" Bake 'N' Butty is open 5 days, Monday - Friday (7.30am-4pm) and offers free deliveries within the Lanark area.